Are you one of the lucky ones who had the opportunity to pay off their Zionsville, IN mortgage in full? 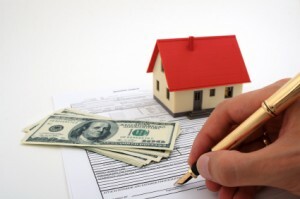 Did you notice any additional charges at the closing of your Zionsville, IN mortgage? For years it was widely considered a massive, government-sanctioned rip-off of home mortgage borrowers. Then it was banned by the Consumer Financial Protection Bureau. And now it’s the subject of class-action suits that accuse four large banks of illegally collecting millions of dollars in excess mortgage interest payments from their customers. What was the controvery? Interest Overcharges. The Federal Housing Administration (FHA) had a long-time policy of allowing banks to charge homeowners a full month’s worth of interest when they went to pay off their FHA-insured loans — even after they had paid back all the principal they owed. Imagine going to the pump for 3 gallons of gas and being charged for a full tank. This is akin to what was going on at the pay off these Zionsville, IN loans. Last year, after the CFPB ruled that FHA’s policy amounted to a prepayment penalty prohibited by federal law, FHA rescinded the policy for new borrowers taking out loans on or after Jan. 21, 2015, but kept it in place for an estimated 7.8 million homeowners who had FHA loans dating to previous years. In a series of legal moves last week, attorneys representing FHA borrowers sued Bank of America, Wells Fargo Mortgage, U.S. Bank and SunTrust Mortgage for allegedly failing to properly disclose the extra-interest policy to clients paying off loans originated before the deadline. Read more at the Arizona Daily Star to follow along with this legal matter. Are you still looking to purchase your dream Zionsville, IN home? When you are ready to buy your Zionsville, IN home, contact a Zionsville, IN real estate agent. We are committed to providing you with the highest quality service. You deserve to have all the latest market information and the very best advice, both of which we can provide you with. We hope to speak with you soon!